Located on the east edge of the Village, beside the baseball diamonds, in Jubilee Park. Entrances are along Railway Avenue on the north side of the road. Two fenced, shale diamonds, maintained by the Village of Bawlf Parks and Recreation summer staff. 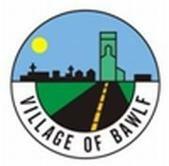 The Bawlf Recreation Association organizes a wonderful ball program for children of all ages each spring. Within close walking distance of the Lions Playground and camping. Located along Jamieson street, the Lions Playground is equipped with swings, slides and several climbing features. Go for a spin on the merry-go-round! Dugout located on the north side of Jubilee Park, east of the Water Treatment Facility. Pond is stocked with trout. Fishing licenses are required, catch and release only.